How are loads created in a faster way on linear / planar elements? 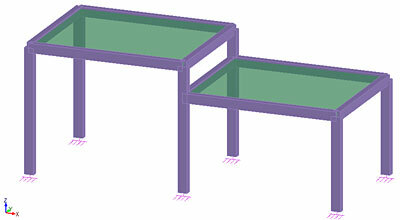 In Advance Design there is a faster way of creating loads on linear elements and on planar elements. This is possible by accessing the context menu which is available by using the right button of the mouse, after selecting the element(s). As an example we will assume that we have created the model with linear elements and planar elements (Figure 1) and we want to create linear loads on beams and planar loads on slabs. 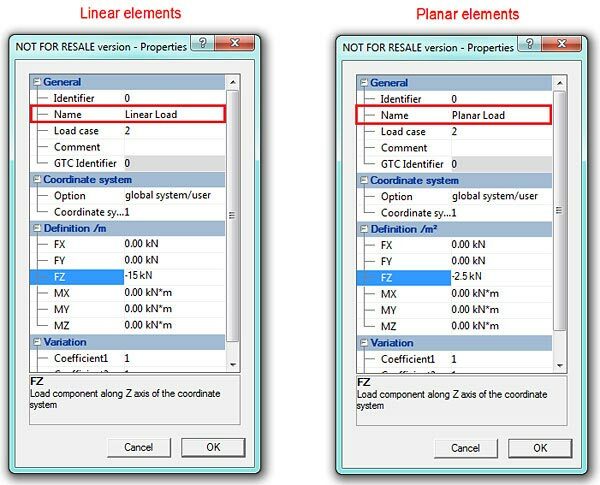 In order to create loads in a faster way on linear / planar elements it is necessary to select from the Pilot, with a single click, the load case in which loads will be created. Subsequently we will select the beams / slabs on which the loads will be applied and, from the context menu, choose the "Loads on selection" option (Figure 2 and Figure 3). 1. The selected elements on which the loads are created must be on the same type. Loads cannot be generated on linear elements and on planar elements simultaneously. 2. Static loads cannot be generated in a load case which belongs to the "Seismic" family. After choosing the "Loads on selection" option we will define the parameters of the linear / planar load (Figure 4).